Several points about this wine. Firstly, I don’t remember buying it, or the second bottle I found in my ‘to drink’ rack. Perhaps one of my mates brought them over for Thanksgiving when I was not here yet Moxie has no recollection of this occurring. Oh well, free booze is free booze. 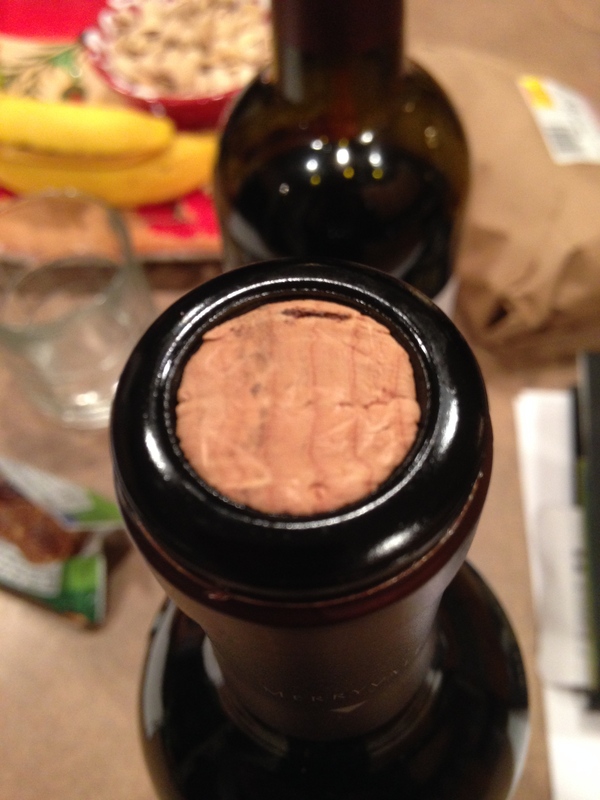 Secondly, the cork on bottle #1 was badly stained, never a good sign. I sliced the second one open to see, it is safe. So…. I will write based on the fact that I suspect this wine to be flawed, which is a shame considering it’s heritage, reputation and price. As you can see, pretty grim on the left side. I shall endeavor to open the other one soon so I have a fresh recollection. Anyway, back to the details. Mostly Merlot with a touch of Cabernet Sauvignon and Cabernet Franc make this more of a Right Bank blend which excites me. The wine is inky dark in the glass and unfortunately had a slightly oxidized nose of plums and blackberry. On the palate I was in for a surprise. The wine had survived nearly intact. Big juicy black berries and dark plums with a deft addition of the wood and some spices make this a full-on wine of great depth. 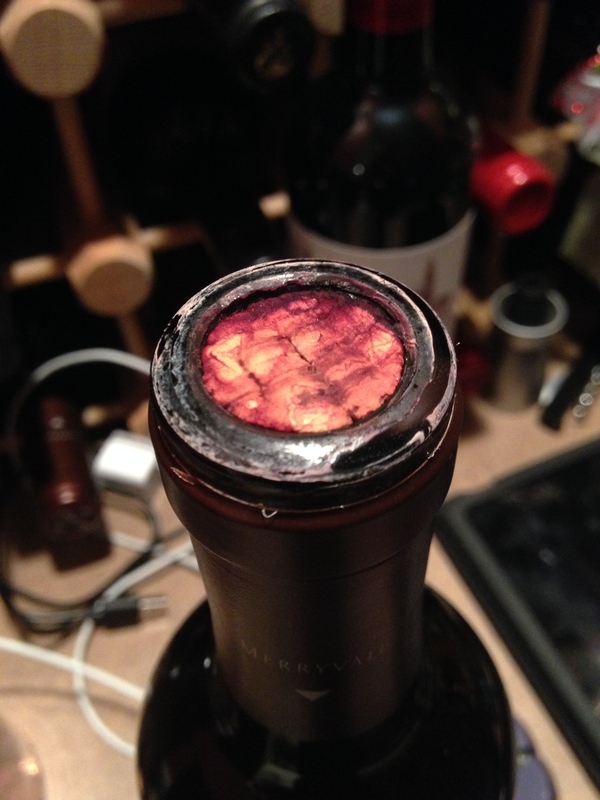 The tannic structure is great with some dryness on the back end, right where it should be. I did not sense any imbalance but did notice a slight oxidized note on the finish. I am lucky this bottle showed so well, now if only I could find it’s source! I am giving a provisional 90 points and found it online for about $46. Potentially a 4 star wine for me, we shall have to wait for the re-taste to confirm. Salut…. 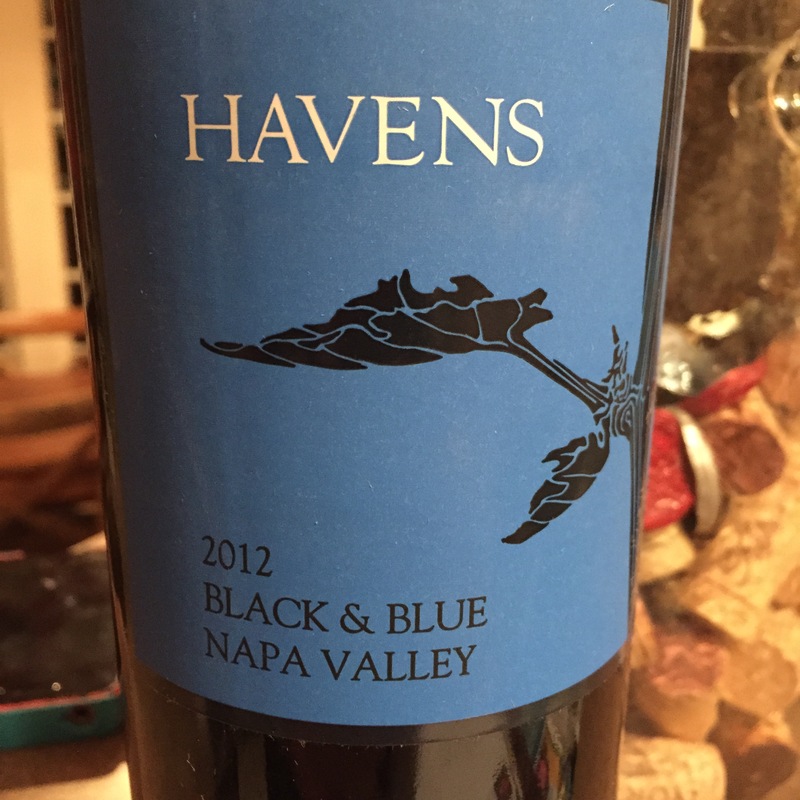 I was not sure of the blend when I decided to pair this Napa red with some serious Ribeye steaks. I thought I was getting a tannic Cab Sav, which is what I wanted. 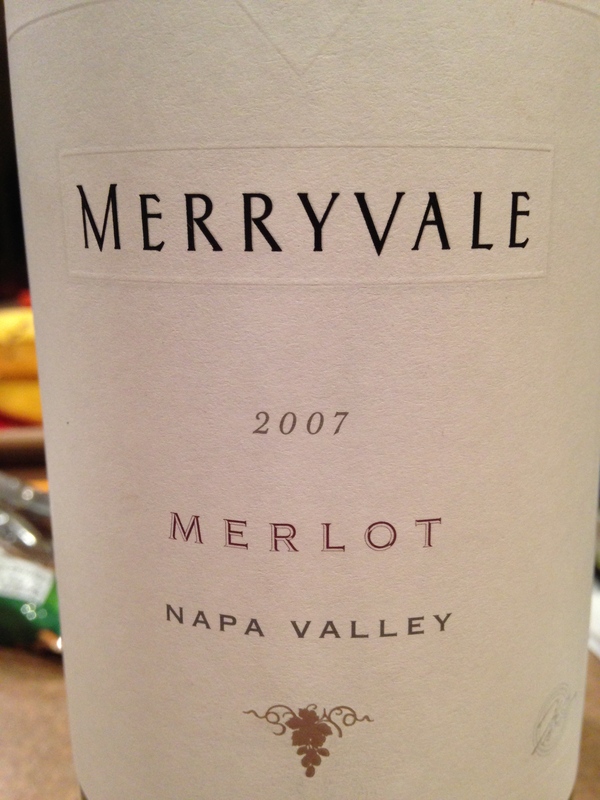 Instead, I ended up with a multi dimensional blend, mainly Cabernet Franc with Merlot balancing it out. Absolutely delicious is what it was. You may recall that I have a soft spot for the Franc, but this is a seriously complex wine that offered up Plums and Blueberry on the nose. 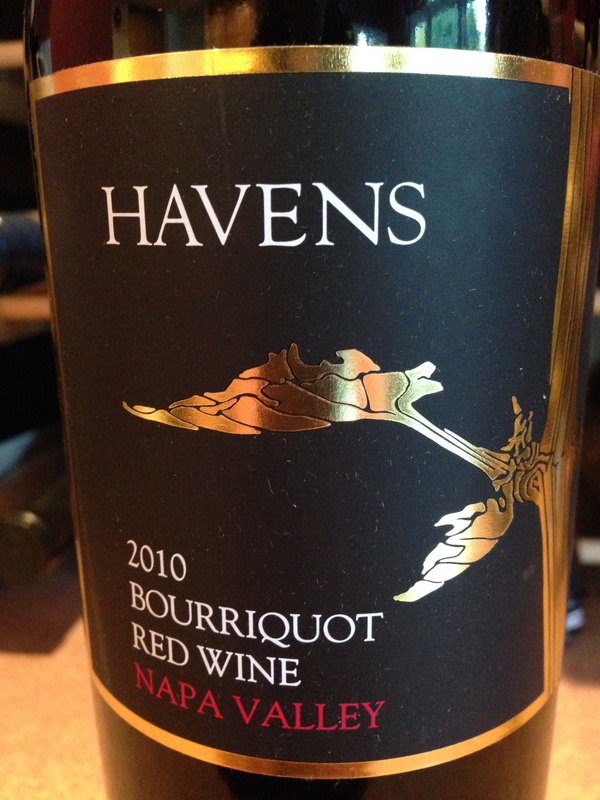 The first wave was Pomegranate, red berries and a touch of oak. Later, I was getting dark berry and currants with some back end tannins that were sublime. 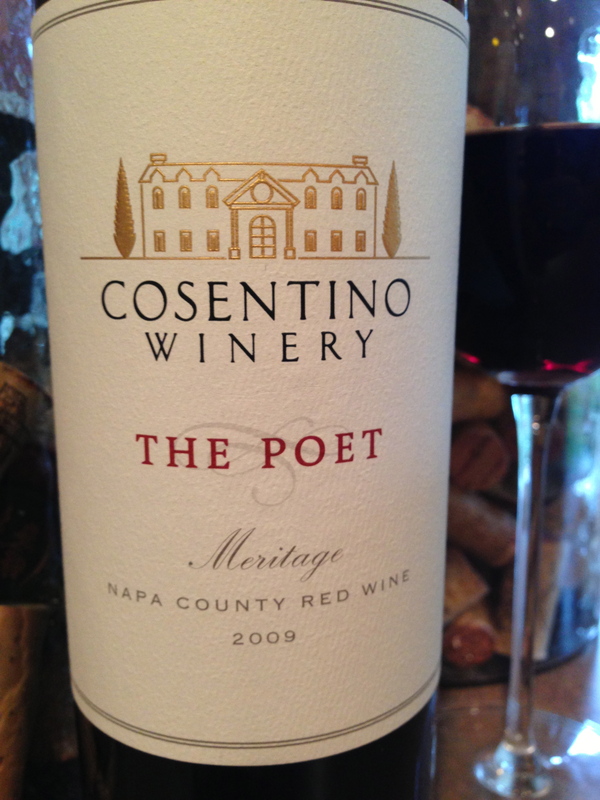 The structure of this wine is fantastic, balanced and built for medium term cellaring. The tannins are all concentrated on the finish, making this an easy drinker. The long ending is a dry mouth-puckering event that lasted for ever. I think I would pair this again with any grilled meat, perhaps even roast chicken. The fruit is so evident and layered that the wine is Chameleon-like and can adapt to many dishes. I bet this wine would rock a Moroccan Tagine dish of Lamb and stewed fruits with couscous. Priced at $50, it is rather a ‘treat’ wine, but I would be guessing a 92 point rating is appropriate. I am giving it 4 stars because it is so interesting, complex and offers gratification from today until 2020 at the very least. Salut…. When I took the first sniff, I could almost smell purple. Weird, yet delightful. 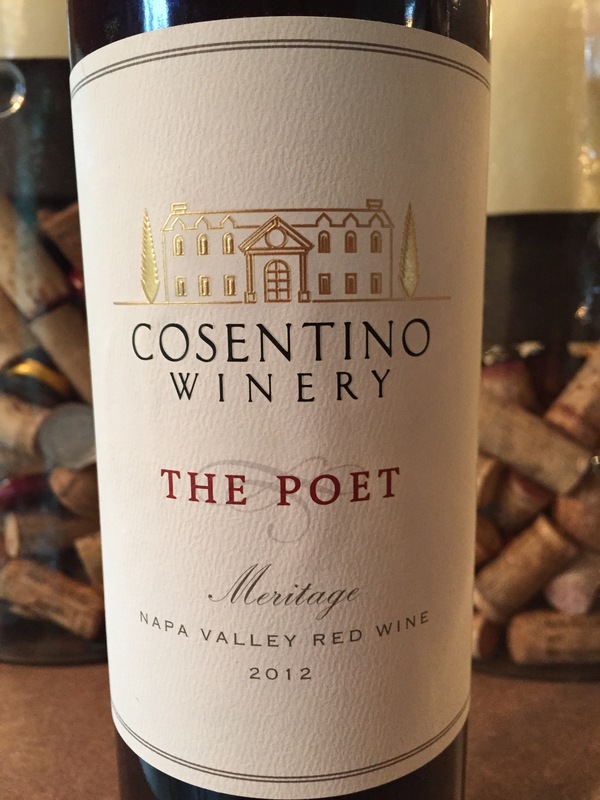 This wine is a Meritage, meaning it is a blended wine made up of the Bordeaux varietals- Cabernet Sauvignon, Merlot, Cabernet Franc and Petit Verdot. The flavor profile is unlike Bordeaux, more New World and fruitier. This wine was exceptionally smooth and the tannic structure was impeccable. I timed the finish for over a minute- amazing. On the palate, purple fruits galore, with a shaving of oak to balance it out. Plums, blackberries, dark cherries and the lot. Complex and deep, this is a show-stopping wine. 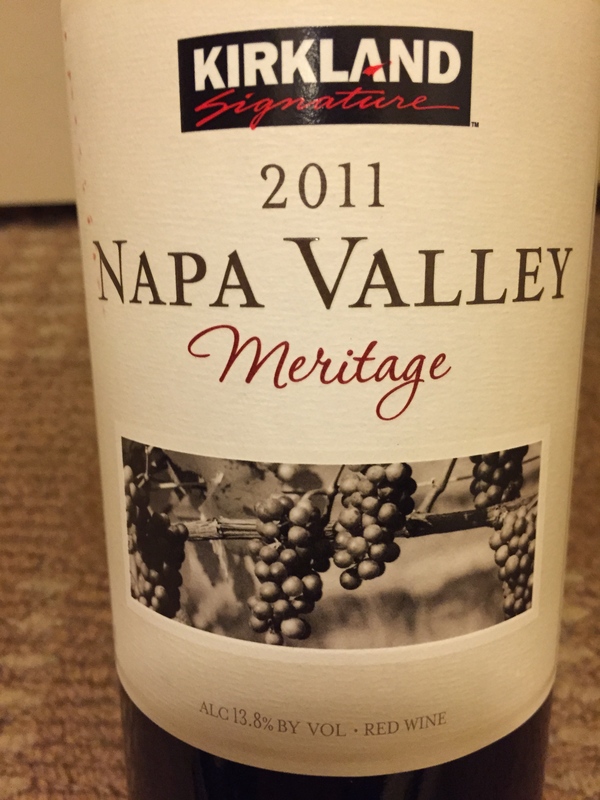 Albeit a Meritage, it lacked Old World nuances like leather and cassis, relying on it’s own terroir to provide such crisp fruit outlines. The main players are 62% Cab Sav, providing the backbone while the 30% Cab Franc gives it the finesse. The wine is open for business and will last at least 10-15 years. 94 points and 5 stars. How and where…. 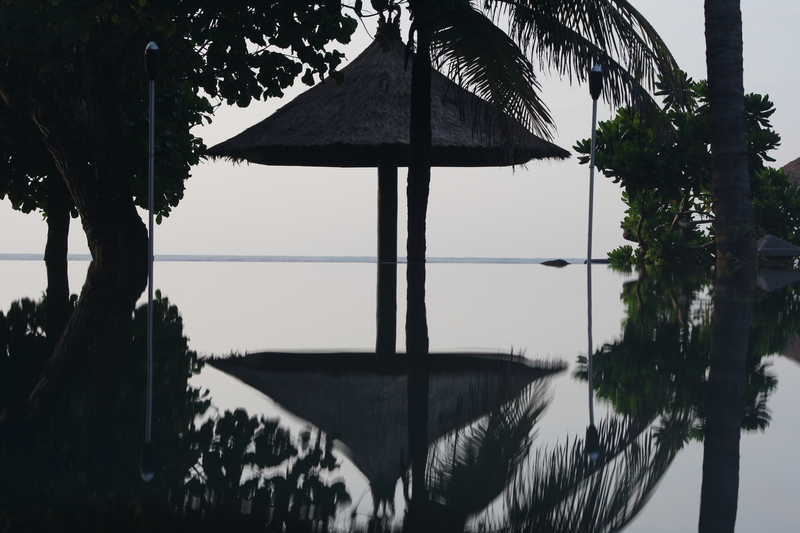 Moxie and I were on our way to Bali for our 20th anniversary and our friend’s wedding. We decided to stop in Napa for a visit before crossing the ocean. 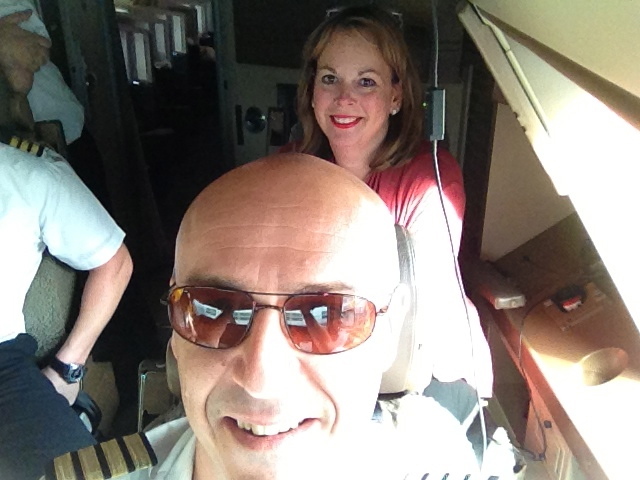 Our flight departed Washington, and returned. We eventually left 6 hours later and missed our whole Napa adventure, save the delightful dinner and wine on the terrace of the Westin Napa. In the morning, Moxie was showering when I checked the status of our flight to Hong Kong, alas a 6 hour delay, now leaving in the evening versus lunchtime. 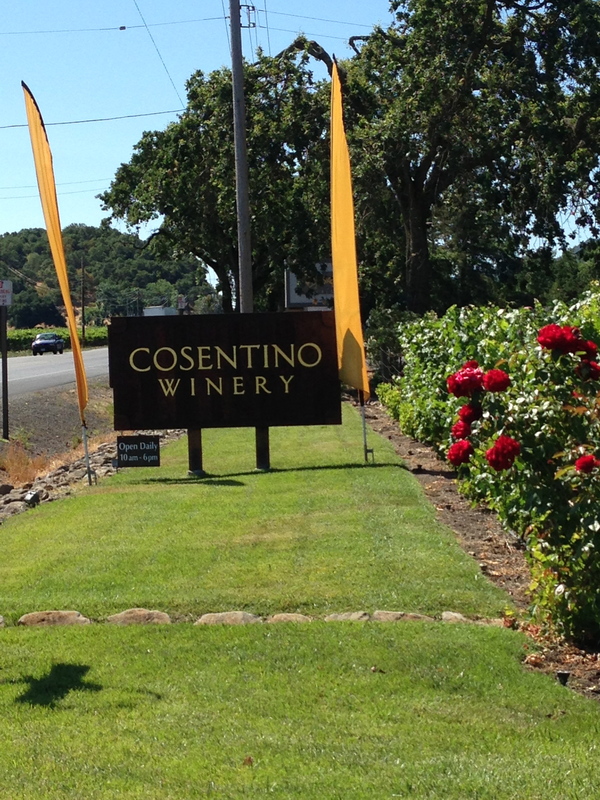 We took the opportunity to drive up the Silverado Trail and down the other side of the valley, only stopping at one winery- Cosentino. It was 10 am and they had just opened. Moxie was in no mood to swill wine at such an hour, and I was legally obliged not to allow alcohol to touch my lips (you’ll see why later). Anyway, the staff at the winery were super friendly, full of advice and sent us on our way with this offering. I was planning to open it in Bali, but never had the right opportunity, hence I saved it for this moment. The great blend of the Rhone- Grenache, Syrah and Mouvedre. 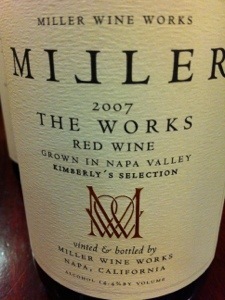 Very gorgeous plummy nose gives way to red fruits exploding in a certain freshness that leaves a great mouthfeel. A child at 5, the tannins are well stocked and ready for the next 10 years of drinking. A very well made wine IMHO. I would love to revisit in 5 years- betting some barny type secondary stuff comes out, the kinds that excite me. 5 star effort, 92 points if I were rating it.